What Can U.S. Grocers Learn From Their UK Counterparts When It Comes To Tech? Technology in the UK market has largely been led by grocers, unlike the U.S. which has been led by pure play e-commerce providers such as Peapod, Fresh Direct, and Amazon," says GrocerKey CEO Jeremy Neren. As German discount chain Lidl has been working to establish its footing as it continues its East Coast expansion, established U.S. food stores are trying to cope with the technological change from voice activation and on-demand ordering. The e-commerce experience of UK grocers may have some lessons for their U.S. counterparts as brands across the world attempt to sort out issues associated with allowing consumers to buy what they want, where they want, how they want. 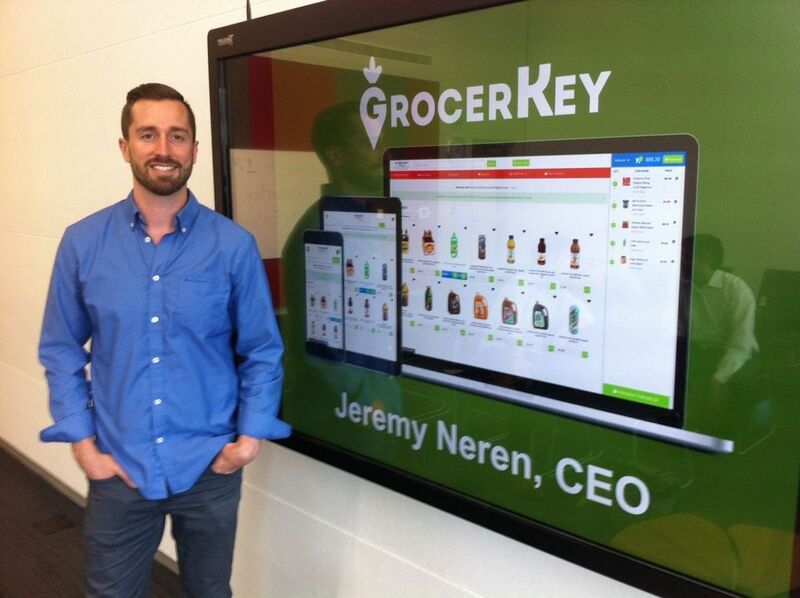 We checked in on the similarities and disparities between grocers on either side of the Atlantic with GrocerKey CEO Jeremy Neren, following his talk at market researcher Redburn’s 2017 Retail Food Conference in London last month. GeoMarketing: What are the primary differences in the way UK grocers have experienced the challenge from e-commerce? Jeremy Neren: Technology in the UK market has largely been led by grocers, unlike the U.S. which has been led by pure play e-commerce providers such as Peapod, Fresh Direct, and Amazon. With the market maturing far more in the UK than in the U.S., pricing competition has forced retailers to sacrifice considerable margin. What’s the state of on-demand delivery and shop online/pick-up in-store in the UK versus the USA? The UK market is mature, but doesn’t seem to be adopting on-demand delivery at the same rate we’ve seen in the US. E-commerce grocery adoption is far greater in the UK (roughly 7.5 percent) than in the US (3-4 percent). Many of the major UK grocery retailers have mature click & collect and/or next day delivery programs – Tesco, Sainsbury, Asda, Morrisons, Waitrose. Is there a difference between what UK major grocery chains and smaller independents are doing to address the issues associated with e-commerce? How are they dealing with the challenges differently from USA counterparts? UK retailers are becoming far more sophisticated in terms of e-commerce fulfillment (i.e. ; batch / wave picking, implementing ware rooms / dark stores), supply chain, pricing, inventory management, and technology resources. Are there any other trends being experienced by UK grocers that have yet to hit the USA? Consumer adoption, density, and overall industry sophistication are much higher in the UK – we will likely reach a similar state in the US around 2019/2020.